Limit poker is a variation of the popular card game where the betting limit is set. This can apply to cash games as well as tournaments but the most popular option is Limit Texas Hold'em ring games with nine seats at a table. 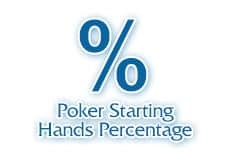 The main feature is that players can only bet a specific amount at a time, depending on the progress of the hand. For example, a $1/$2 limit hold'em table only allows players to bet $1 pre-flop, $1 on the flop, $2 on the turn and $2 on the river. These are called small bets and big bets. Players can raise multiple times on the same street but this too is limited. Most poker rooms will only allow four bets per round. Online poker rooms can provide a huge variety of tables and when it comes to limit poker, selecting the perfect level is crucial. 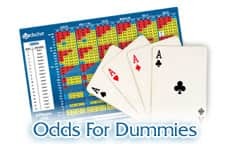 Since the pots are smaller than in no-limit poker, relative to the big blind, players can join tables where the buy-in represents a bigger chunk of the available bankroll. 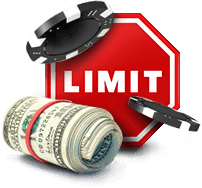 However, this will mean that each bet carries significant importance and thus we make our way to the core concept of limit poker and how to play it. You also need to determine if you want to play against only one player, also known as Heads Up, or join a ring table with multiple opponents. Different online poker strategies are required to make the most of each session. The bets might be limited but this doesn’t mean that you can just shrug off a bad move. In fact, for every bet you lose you will have to win two in order to earn a profit and this generally adds up to two whole hands. While no-limit poker can provide big swings one way or the other, when it comes to playing limit poker, the room for error is much smaller. With that being said, it is also important to keep in mind that the bets are not equal every step along the way. In Texas Hold'em, the first two of the four betting rounds are only half of the other two and they also provide more information. A $1 bet pre-flop can be enough to see three cards while one more $1 can result in another card being dealt on the table. From then, the river can cost $2 and a showdown yet another $2 if single bets are made every round. A re-raise during the later rounds can be costly. The win rate is generally smaller in limit than it is in no-limit poker and that makes it more valuable. 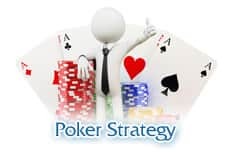 Players are required to be more vigilant in order to protect the lower profit margins and this has led to many players considering limit poker the harder version to master. Limit poker is not the place to make cowboy moves and throw bets in the pot on a hunch. It is all about calculated risks and consistency over longer sessions that can pay off nicely if everything goes well. Before you get to draw the line at the end however, you must first start playing. Position in poker is arguably the most important part, more important than the actual cards available. Once you have joined the perfect table, the action is ready to begin. As it has been well established, even the smallest advantage is important so the starting hand is crucial. This doesn't just refer to the cards you are dealt but also to your position on the table. Position in poker is arguably the most important part, more important than the actual cards available. Even if we are talking about heads-up limit poker it is better to have the opponents act before you and thus offer useful information. For a full ring table, the amount of poker hands you can play increases as you get closer to the button. A good hand must have great value beyond the flop in no limit poker since the bets will double. It is recommended to be willing to go all the way when placing the first bet but at the same time keep an eye on the Fold button if things get too hairy. We touched on some of the differences that a betting limit can cause when it comes to Texas Hold'em. 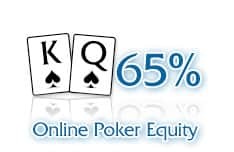 Choosing between the two mostly comes down to personal preferences but if you are new to the game, we would say that limit poker slightly comes out ahead. As long as you play at a responsible level, the limited bets will help you avoid going bust. Also, you can better practice with concepts like implied odds when the bet is fixed and you don't have to worry about the perfect bet size in each situation. As you play and learn more about this thrilling game, you will see an improvement in the results and your newly acquired skills can be transferred to other poker versions as well. So it is better to opt for limit poker as a new poker player and eliminate the need of setting the proper bets.